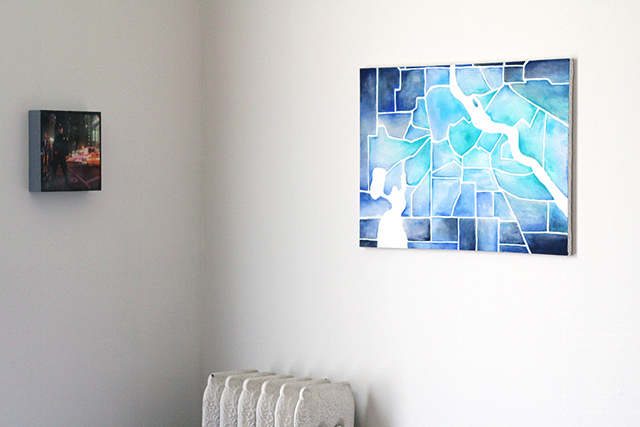 Ever since moving, I've been itching to make a map of Minneapolis to hang on the wall. Rather than free-hand it, I knew I needed a more accurate method to get all the proportions right. One brainstorming sesh later, & bingo - grid drawing came to mind. It's something I did a lot as a kid (I feel like there was a grid drawing activity in every coloring book ever made). Turns out it's really helpful, & by using a grid to draw out my map, I was able to sketch it accurately on the first go around. 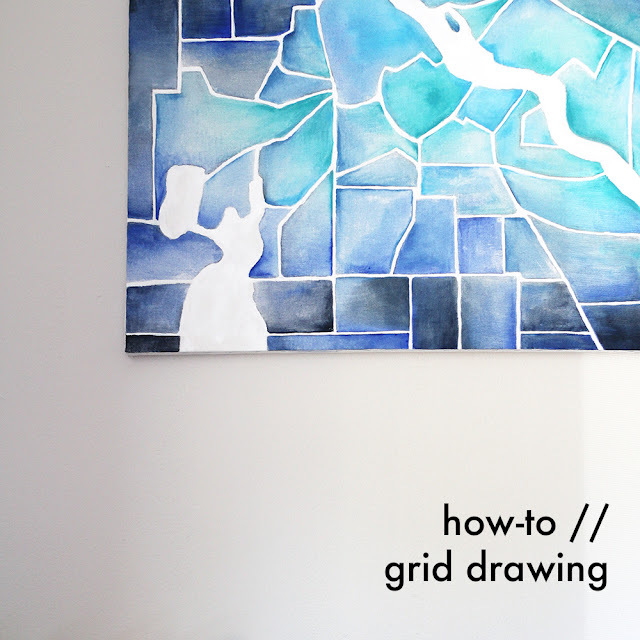 Grid drawing is super useful if you're trying to copy a small image onto a larger surface. You don't have to be an artist either, you just have to be able to count. 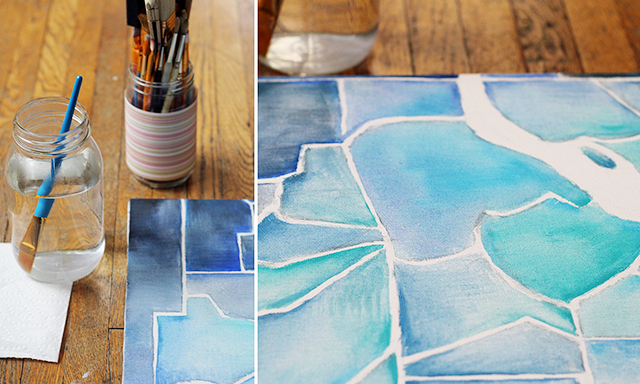 Step 1 // First, draw a two inch grid on your large surface. Start from the bottom right & mark every two inches along the bottom. Then (without rotating or moving the surface) start from the top right & mark every two inches along the top. Matching your yardstick to the first bottom mark & the first top mark, draw a straight line. Do this for all the marks. When you have drawn a line for each mark, rotate your surface once, & repeat for the sides. Step 2 // Open the image you're copying in Photoshop. Crop the image to the size of your surface. To do this, select "Crop" & set to "Unconstrained." Enter in your measurements; for example, my canvas was 24 inches by 18 inches, so I entered "24" & "18." Next, turn on the grid. To do this, go to "View" in the toolbar, then select "Show," then hit "Grid." 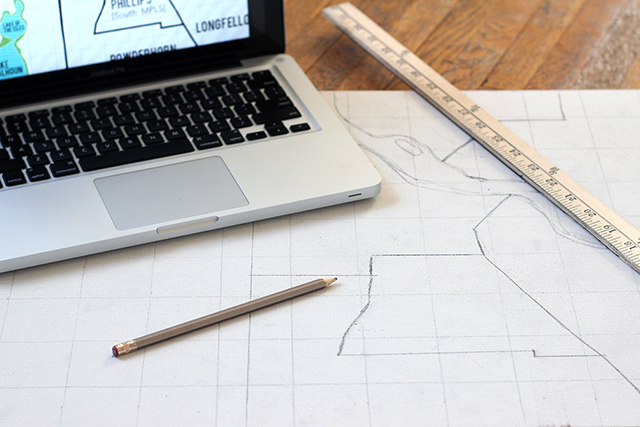 Now set your grid to match the grid you drew on your surface. Go to the toolbar & select "Photoshop," then select "Preferences," then "Guides, Grids, & Slices." Here you'll be able to set the grid size. Set "Gridline every ___" to 2 inches, and "Subdivisions" to 1. Step 3 // Now to draw using the grid. The number of grid squares you have on your computer will be the number of squares you've drawn on your surface. 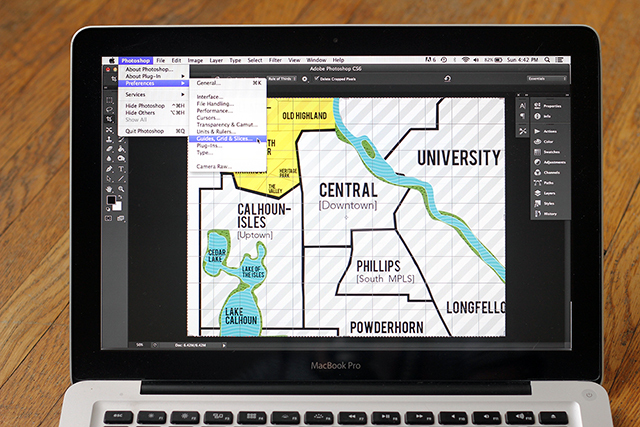 Using the image in Photoshop, draw on your surface to match each grid. Don't focus too much on the picture as a whole - focus from block to block. Draw large shapes first, then hone in on smaller details. Step 4 // Once you have all the necessary details transferred onto your surface, erase your grid lines. 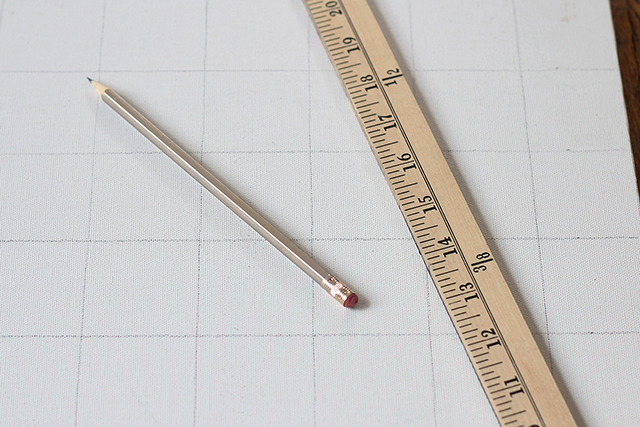 With all of your image's proportions accurately gridded out, you're free to paint or draw! Now proudly show off your work by hanging it on the wall. Ta da! Related // More maps on the wall - on a clock!